Let your taste buds travel to North Africa – home of the Tagine. I once bought my mother-in-law a bright red tagine – one conical-shaped, magical, Moroccan cooking pot. She cooked up some delicious dishes with a marvellous blend of sweet and savoury flavours. 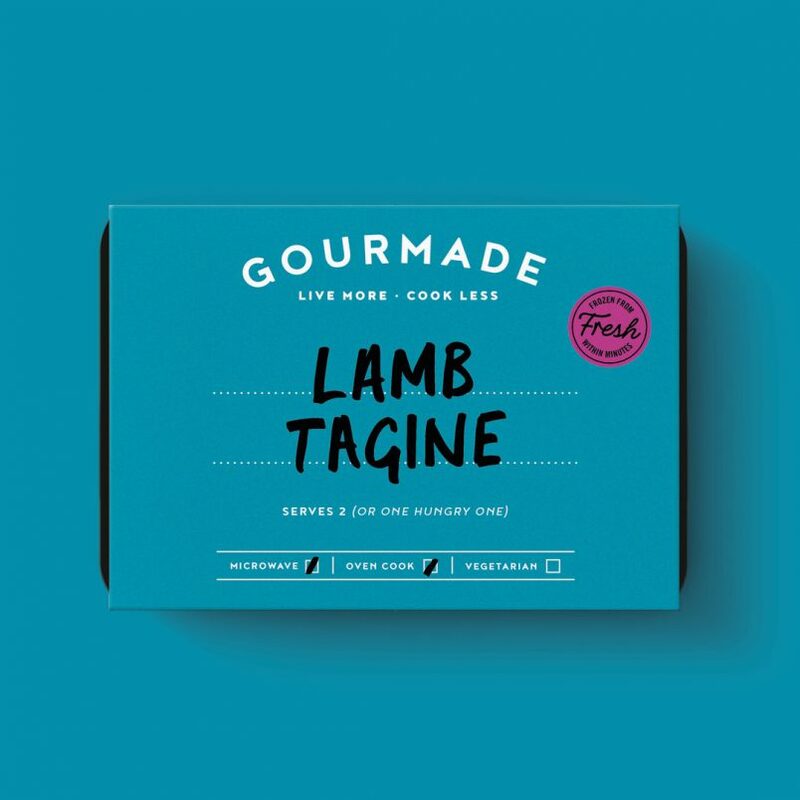 Try our melt-in-the-mouth lamb which has been slow cooked to perfection. 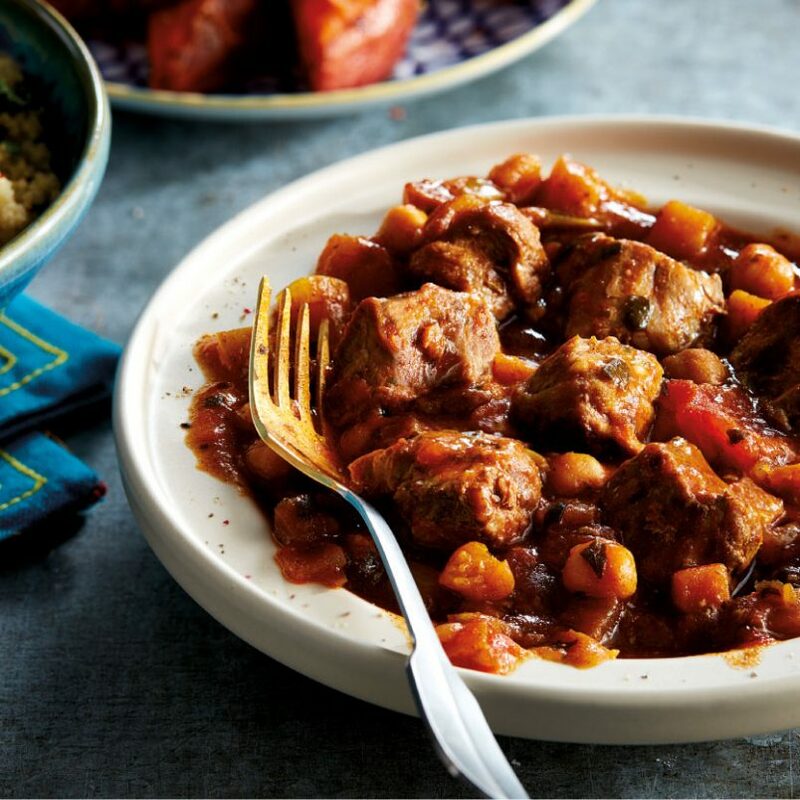 We’ve cooked it up with dates, apricots, honey Madeira wine and aromatic Moroccan spices to create the perfect Lamb Tagine. You can’t say no to this one….enjoy! Cooked Lamb (28%), Water, Chopped Tomatoes, Onions, Chick Peas [Chick Peas, Water], Aubergine, Olive Oil, Chopped Dates, Roast Lamb Stock [Lamb Meat Concentrate, Yeast Extract, Sugar, Corn Flour, Salt, Onion Concentrate, Mixed Herb Oils (Thyme & Rosemary)], Dried Apricots (contains Preservative: Sulphur Dioxide), Honey, Madeira (contains Preservative: Sulphur Dioxide), Garlic Puree, Tomato Paste, Corn Flour, Lemon Juice, Coriander, Salt, Ground Cinnamon, Ground Coriander, Ground Cumin, Ground Turmeric, Cayenne Pepper, Hot Chilli Powder [Spices (Cayenne, Paprika, Cumin), Salt, Garlic Powder, Oregano].